Ballet Arizona would like to thank and congratulate our 2017-2018 Volunteer Corps for helping us accomplish such an amazing and successful season! We are honored and grateful to have such a remarkable group of people on our team. Their commitment and passion to provide an enjoyable and memorable performance experience is unparalleled. We would not be where we are today without the help of our volunteers and we truly cannot thank them enough. However, we try our very best to do so, which is why we would like to highlight the 2017-2018 Volunteer Appreciation Day Award Winners! Not only is Nancy a new volunteer this season but she is also a member of Ballet Barre, our young professional group. She recently moved to the Valley and wanted to meet people with similar interests and has been regularly volunteering with us ever since! As our volunteer coordinator from JPMorgan Chase, Anita has been an absolute force – not only this season but for the past 3 seasons! Whether we are doing The Nutcracker or An Evening at Desert Botanical Garden, she understands how important volunteer support is to our organization and helps get JPMorgan Chase employees involved at the ballet! For the past 5 months, David has come in every Tuesday to help in our administrative area with filing. A crucial and time consuming component to our company, he always comes in smiling from ear to ear, happy to help, and keeps us running smoothly! Year after year, David can be seen helping in our Box Office at almost every production throughout the season. We especially rely on our will call volunteers during performances so that our patrons experience is as seamless as possible and we can always trust that David will make that happen! As the award name suggests, Chi is a brand new volunteer with us this season and has been an absolute treasure! We feel so lucky she applied to volunteer with us and whether its The Nutcracker student matinee, a School of Ballet Arizona performance, or braving the heat at our Desert Botanical performances, Chi continues to amaze us. This was Ginny’s 3rd season volunteering with the ballet and to say that we are grateful for everything she does for us is an understatement. She has been our go to volunteer ever since she started. Not only has she rescued us in last minute situations but she has taken on the role of volunteer captain during our run of The Nutcracker, and helped at our annual Dance With Me Gala. Ginny was awarded Rookie of the Year two years ago and her willingness and commitment have not changed to this day. Ballet Arizona volunteers at our annual Volunteer Appreciation Day. Click here to learn more about our Volunteer Corps and our upcoming opportunities for the 2018 – 2019 season! Thank you so much to all of our volunteers. You provide our patrons with an exceptional experience at the performance venues, and are incredibly valuable to the staff. BRAVI! 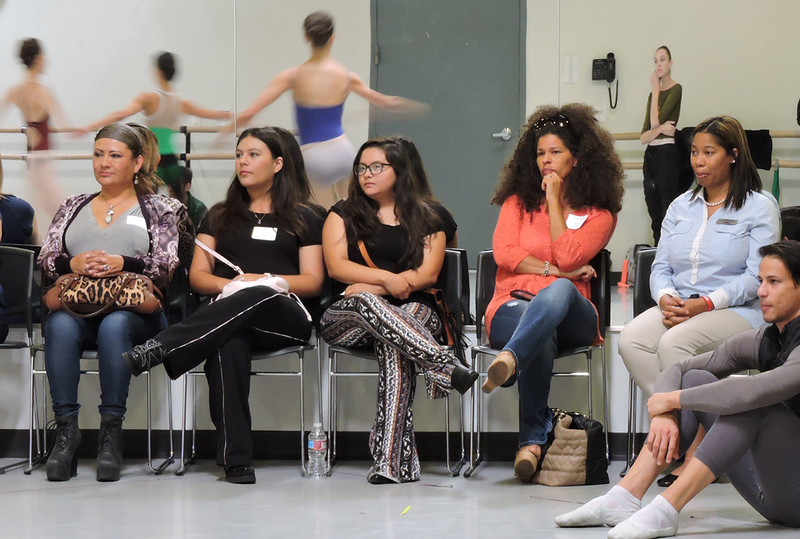 The School of Ballet Arizona’s Summer Intensive New Year, New Us, New Programs!